Chester Greenwood was a 15-year-old bestowed with generous ears when he decided he had had enough of the biting cold while ice skating. That was in 1873. The first earmuffs were then born. They were fashioned from farm wire. They had fur sewn on them by his grandmother. These days, similar versions are still sold. Others wrap around the back of the neck. That eliminates mussed hair. There are versions with fleece. Some have fur or down. Some even have built-in ear buds for music. It is worth celebrating. So Greenwood's hometown of Farmington, Maine, is doing just that. It has don so for nearly 40 years. The town has a parade in which residents proudly wear earmuffs. "It is unique. How many other little towns can celebrate earmuffs? Seriously," said Nancy Porter. She is the author of the self-published "Chester: More Than Earmuffs." Greenwood is forever linked to his signature invention. But, he also created other things. By some accounts, he came up with more than 100 devices. But he got patents for only five. In addition to his ear protectors, he patented a rake. He also patented an advertising matchbox and a tea kettle. He also created a device designed to drill holes in the ends of wooden spools, Porter said. He also was a businessman. He ran a bicycle shop. He built a plumbing and heating business. And he also created a local telephone company. His earmuff factory closed a few years after his death in 1937. The legacy of the dapper-dressed inventor faded over the years. It was brought back when the Maine Legislature declared Chester Greenwood Day on the first day of winter in 1977. Fittingly, the first parade was held in a snowstorm. A snowplow led the parade to clear a path. Students from the University of Maine at Farmington participated on skis. "It was snowing and people were on the street just the same. Both sides. The parade turned out pretty good," said 75-year-old Ronald Greenwood. He is Chester Greenwood's great-grandson. All parade participants include earmuffs in their floats. Afterward, an earmuff flag is raised at the courthouse. There is also a polar dip on Clearwater Lake. And the town Christmas tree is lighted. There was a pretend lockup in the past. Youngsters caught without earmuffs would be jailed. That is what Ronald Greenwood said. Planners are not going that far during this year's festivities. Ronald Greenwood is a locksmith. He is also a building contractor. He said earmuffs do not work so well for him. The most important things you need to make earmuff are farm wire and fur. I know this because the text said, "They were fashioned from farm wire. They had fur sewn on them by his grandmother." 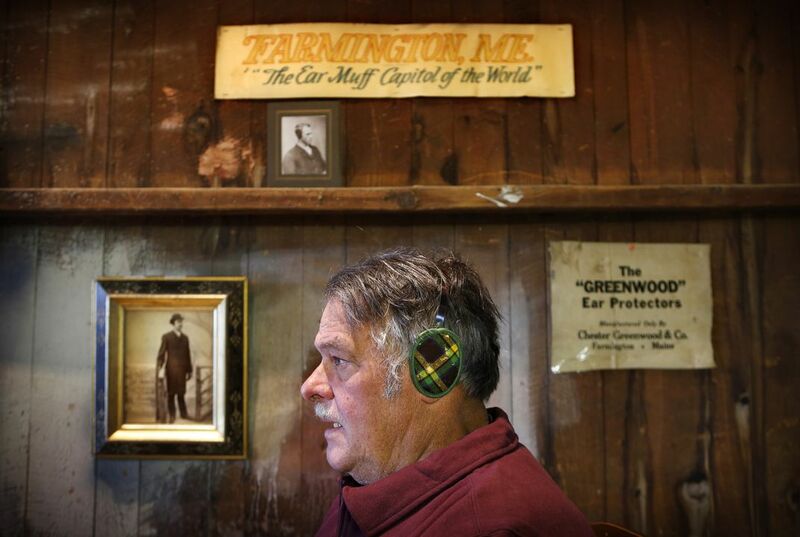 The necessity is about earmuffs and other things he invented. He created more than 100 devises. The necessity was invention for the cold air and peoples cold ears so they don't get a cold. 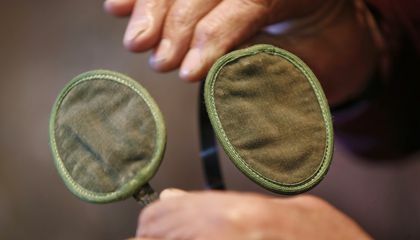 According to the text,Greenwood created earmuffs for people to use when it is cold in the winter , when they are in december,and they have to use it every time or they are jalalld. Protecting your ears from the biting cold was the necessity that was the mother of this invention.I know this because the text states that Greenwood invented them for that reason. Cold weather is the mother of this invention. She inspired him to invent the earmuffs for other people so they wont get cold when it winter shiver to much. The need of this invention is to keep your ears warm and to quiet down other things going on around you. The mother of this invention is that Chester Greenwood went ice skating and he felt so cold ,also tired of the biting cold while ice skating I found it on paragraph 1.